I found a kitten, now what? What is an open admission shelter/humane society? 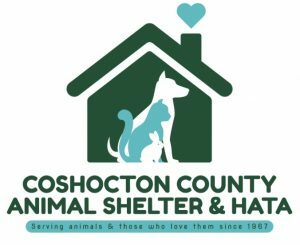 The Coshocton County Animal Shelter & Humane Animal Treatment Association has served Coshocton county and its surrounding area counties for over 50 years. We are the only full service, open admission, 501c3 charitable animal care organization located in Coshocton, Ohio. The Humane Animal Treatment Association (HATA) operates our county run dog pound who partners (contracts) with HATA. HATA has the only active humane agent serving the county of Coshocton. We are NOT a selective or “limited admission” shelter. We are an open admission shelter. We operate our county run dog pound and open admission cat shelter here in Coshocton County. An “open admission” shelter is a shelter that does not turn away any animal(s). We accept all who are in need—no limitations or denials based on age, breed, health, behavior, or aggressive tendencies. 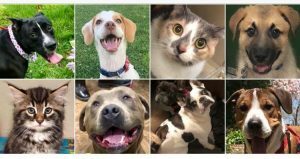 “No-kill” or “limited admission” shelters often pick and choose which animals they will accept, or assign needy individuals to lengthy waitlists. Many times, a “limited admission” organization will promote themselves as a “no-kill” shelter or humane society. Unfortunately, very few of them will accept animals that are old, sick, injured, or behaviorally challenged. Nor will they provide care for stray, unwanted, or owner surrendered animals. Additionally, they may choose to decline the return of unsuccessful adoptions. This, to us, is not solving the large scale problems contributing to overpopulation, irresponsibility, and unnecessary cruelty & neglect. We are a volunteer based shelter. Our core volunteers log hundreds of hours monthly and go above & beyond for the animals and people we serve. The shelter staff are not county employees and are primarily volunteer based. We are not affiliated in any way with the “Coshocton County Humane Society” its Director, social media, events, policies, fundraisers or the cats they house at TSC. Your generous donations truly support the animals in our care & community based programs we provide. Your support helps us care for thousands of animals each year. Thank you! If you have found a stray dog in the county of Coshocton, please contact the dog wardens office at 740-295-0026 or safely transport the dog to our shelter. If you have found a stray after hours or on the weekend, leave a message with the dog wardens office. If you have found a stray canine from a county outside of Coshocton, please transport to the county dog pound where found. We cannot accept out of county stray canines. The dog pound in that county is required to admit the stray canine in need. Felines admitted 24/7 at no charge, HATA determines cat shelter policy and no fees are required. In addition to caring for the thousands of animals received each year, we proudly provide many community programs. Browse our website further to learn more about programs and policies. Shelter hours are Monday-Friday, 10-3pm. Closed for clinics, weekends & holidays. Please contact the dog wardens office for redemption & release information if your dog or puppy was brought to the shelter, 740-295-0026. Avoid costly fees & citations by having a current license displayed on your canine to ensure a quick & safe return. It’s the law! To view adoptables, check us out on Facebook & Petfinder! Thank you to all who support our work and our mission. Despite the constant challenges, we are proud to serve you and the unwanted animals we care for each day. Together, we are making a difference.